Danish Queen Margrethe II officially opened the Panda House at Copenhagen Zoo on Wednesday. Queen Margrethe II, Crown Princess of Denmark Mary Elizabeth, Danish minister of culture Mette Bock, Chinese ambassador to Denmark Deng Ying, and several representatives from both sides were present at the ceremony. “It’s an honor to welcome Mao Sun and Xing Er to Denmark. They are symbols for the ties between Denmark and China, and we think that these two pandas will strengthen the relationships between Denmark and China, based on respect, dignity and friendship,” said Bock. “We will do our utmost to take good care of these two remarkable animals, and to provide them with best possible conditions to flourish,” she added. “The comprehensive strategic partnership between China and Denmark has continued to deepen and is moving towards a higher level in the new decade,” said Ambassador Deng. “The arrival of two giant pandas to Denmark is the best interpretation of the long-standing friendship between China and Denmark. And I believe the friendship between the two peoples will strengthen even further,” She added. Wednesday’s opening also saw the kick-start of the Sino-Denmark Giant Panda joint research cooperation project. “The 15-year Sino-Danish Panda International Research Cooperation Project officially began today. 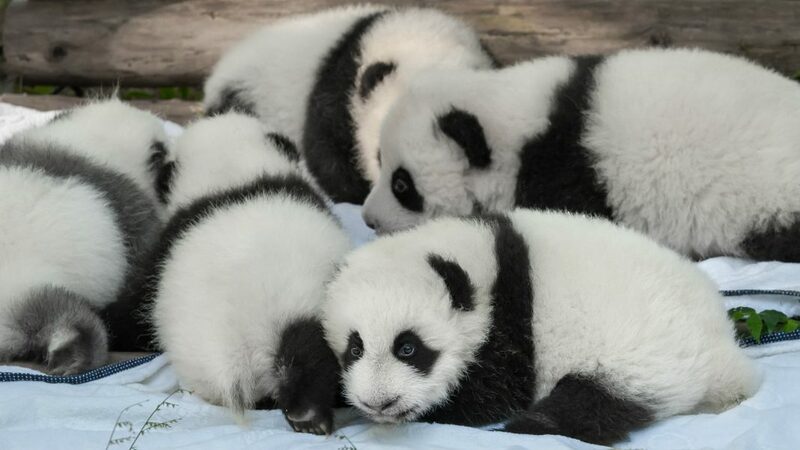 The two sides will start cooperation and research in the fields of giant panda breeding, animal behavior and protection education, and will jointly promote protections of endangered wildlife such as giant pandas,” Zhang Zhihe, director of the Chengdu Research Base of Giant Panda Breeding, told Xinhua. Male Xing Er, a 5-year-old, and female Mao Er, a 4-year-old, left the southwestern Chinese city of Chengdu on April 4 and headed to their new home at Copenhagen Zoo. They arrived at Copenhagen Airport on April 4 with warm welcome, and were transported to Copenhagen Zoo later that day. The Panda House at Copenhagen Zoo will open to the public on Thursday. 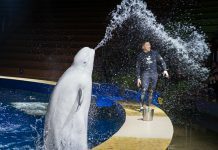 They will be living in Copenhagen for 15 years, according to the agreement signed between the Chinese Association of Zoological Gardens and Copenhagen Zoo in 2017. China and Denmark first agreed on the program during Queen Margrethe II’s state visit to China in 2014. The panda research base in Chengdu has launched giant panda research programs in cooperation with 16 countries and regions so far, according to Zhang.